Call Camberley Glass and Windows for a free, no obligation, quote for your window repair in Chobham. Whatever your replacement window needs we are ready to oblige.We are able to tackle any job, whether it be a single pane of glass, a plate glass window or a shower screen we are the local company to meet your needs. Camberley Glass and Windows is a well respected company which grew out of a group of family run businesses established in 1965, and we have been supplying the glass and glazing requirements for Chobham and the Surrey area for almost 50 years. We are dedicated to customer care, an attribute which has caused our company to be a trusted supplier, and indeed much of our work comes from repeat jobs for our clients and from personal recommendation. Our professionalism and attention to detail is remarked upon by clients in our testimonials and in our high ratings on Checkatrade. We are also on the Buckinghamshire and Surrey Trading Standards Approved list of traders. Our company is a market leader with regard to product knowledge in the glass and glazing industry. We have a team which is fully qualified in all aspects of current requirements and regulations, and is FENSA registered. 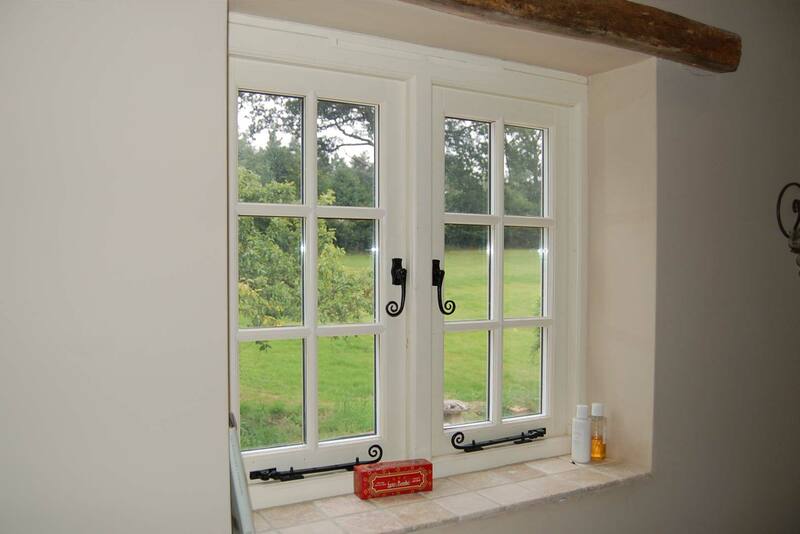 We can supply and fit a small pane of glass or a complete window replacement for your house. We have a large range of windows in different styles, materials, textures and finishes and can provide whatever window furniture and size of windows you wish. Our windows meet the highest standards for reliability, security and energy conservation, and all our double glazing and glass installations are backed with a fully insured guarantee. You can come and see our showrooms at our offices in Camberley, Surrey, or give us a call. Our advisers are ready to help in whatever way they can, without pressure selling techniques, so that you get the best service available.